People in the tech space generally accept the Innovator's Dilemma written by Clayton M. Christensen as fact - companies need to either disrupt or be disrupted. Jill Lepore writing for the New Yorker Magazine questions much of what is "accepted wisdom" or as Al Gore might call it, "settled science" in a well-researched and written piece debunking much of what techies have believed for decades. In fact, Seagate Technology was not felled by disruption. The cloud computing revolution hasnât been lost on carriers who are looking for less expensive and more flexible ways to serve their customers. Moreover feature velocity is a challenge â otherwise explained as the ability to rapidly add new and innovative features in a low-cos manner. Jibe Mobile is a Silicon Valley company helping carriers become competitive in this new paradigm according to the company. In October of 2013 they sold a full RCS suite to Sprint â and their software is preloaded on all the Android phones they sell. The webifications of communications is transformational and at its core its WebRTC says Phil Edholm as he kicks off WebRTC Expo in Atlanta at the Cobb Galleria. 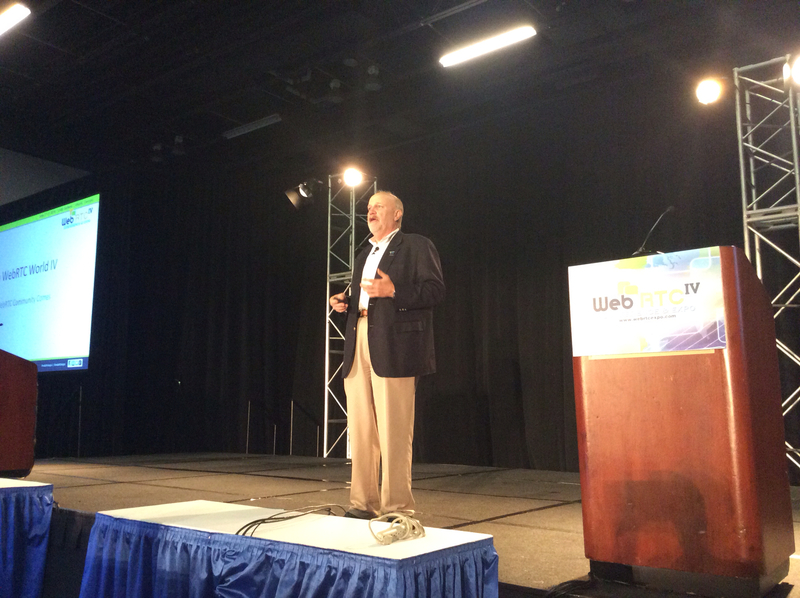 He says that WebRTC is the next wave of communications. He went through a number of waves - in tech and telecom. He pointed out that the Web needed time ot take off as infrastructure was built. Communications service providers (CSPs) demand WebRTC. 74% of engagements have a CSP focus or relate in some way to communications service. Existing IP communications networks must be extended. 67% need to connect existing networks with WebRTC where PowerMedia XMS provides media interworking. WebRTC is a global phenomenon. GENBAND Perspectives 14 kicks off this morning - expect the live blog here... Last night the company hosted a networking reception where I had a chance to speak randomly with one of the company's customers in Mississippi - an ILEC becoming a CLEC. The person I spoke with said they actually purchased the equipment from Nortel just before that company went under and GENBAND acquired the assets. He went on to say he is very happy with the road map GENBAND is on and how they handled the acquisition. One of the biggest disappointments in the world of tech predictions has to be the enterprise social space. For years, the common wisdom in the market was that this segment would be booming… Millennials were supposed to infiltrate the workforce and with them bring a golden age of collaboration, replacing email and many other pieces of software in their wake. Huge bets were made in the area. Microsoft bough “enterprise Twitter” service Yammer, Cisco spent a fortune to launch Quad. 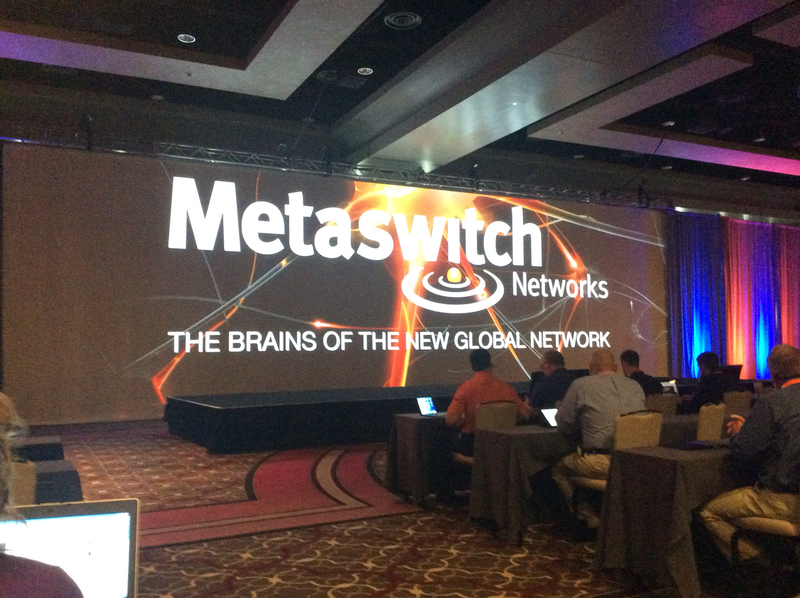 Metaswitch Forum 2014 will kick off soon, stay tuned. The event has kicked off with a keynote presented by Steve Gleave - which has been preceded by a few well-produced videos. The idea so far is tying in the theme of the event "The brains of the new global network" with Steve's brain. The cast of characters behind the scenes show how they tinker with Steve's brain - he eventually comes out on stage on a Segway with Harley Davidson sound-effects.